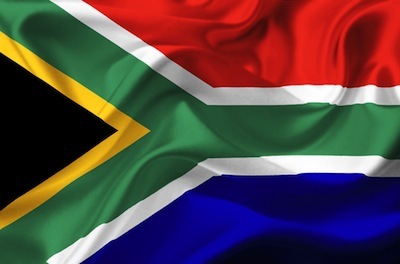 New regulations for immigration to South Africa have come into effect on 26 May 2014. The new regulation have been published by the Department of Home Affairs in the Regulation Gazette No. 37679. The South African Immigration Act distinguishes between temporary residency visa (TRV) and permanent residency permits(PRP). All visitor visa as such are temporary residency visa. They are available as short-stay visa (up to 30/90 days) and long-stay visa. Short-stay visa are granted for the purpose of holidays, business meetings, attendance at conferences and short term seminars and research as well as sabbaticals. They are also granted for medical purposes and business travel. Holders of passports of visa-exempt countries will be granted port-of-entry visa whereas all others have to apply for visa at the South African foreign missions abroad. Read more here. 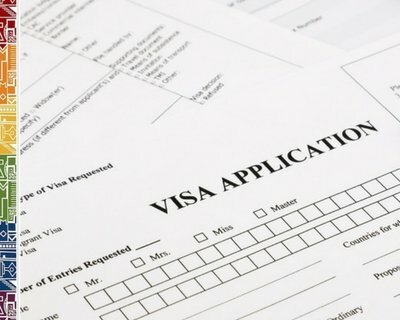 Long-stay visa are not only granted to spouses/lifepartners and dependants of South African citizens or PR holders as well as to family members accompanying visa holders but also to retired persons and to those who intend to do voluntary/charitable work for longer than three months but shorter than three years or other work on limited contracts such as journalists or teachers at international schools. Long-term visitor visa for stays longer than 30/90 days (depending on the nationality of the passport holder), must be applied for from South African missions abroad. In certain instances, however, changes of condition can be applied for within South Africa. Renewals for all kinds of visa must be effected at least 60 days before expiry. The immigration regulations introduced in June 2015 require that all children under the age of 18 years produce an unabridged birth certificate in addition to a valid passport when entering or leaving South Africa. Further documentation is necessary if the child travels alone or is only accompanied by one parent. Read more here. Spouses and life partners of South African citizen can apply for a visitor visa 11(2) to get a temporary visa for the duration of maximum 3 years. Spouses and life partners of South African citizens and permanent residency holders must provide proof of co-habitation for longer than 2 years (you have to provide a notarial affidavit and provide proof through joint account, utility bill, rental agreement) and proof of financial support. Separate interviews of both partners will be held at the offices of DHA to authenticate the existence of the relationship. Spouses and life partners of South African citizen and PR holders can apply for an 'authorisation to work/study/conduct a business', a special endorsement on their visitor visa. Usually a contract and motivation letter must be supplied with the application. Spouses and life partners accompanying foreign work visa holders, however, only are granted a temporary residency visa without the permission to take up a job in South Africa. They require a separate work visa/critical skills visa/study visa or business visa to get an authorisation to work in the country if the employer/institution is a South African company/organisation/school (not applicable to foreign enterprises/organisations/distance learning). The Immigration Act makes no provisions for foreigners to undertake internships at companies and organisations in the South Africa. Therefore, visas may not be issued to such foreigners, including foreign students whose studies prescribe an internship. Study Visas are now issued for the duration of studies rather than renewing such on a yearly basis. The educational institution has to be specified on the visa and if school is changed, a new study visa needs to be applied for. A student at a university will be allowed to conduct part-time work for a period not exceeding 20 hours per week. This is inherent in the Study Visa and students do not have to apply for authorisation as stated here. A radiological report has to be supplied with any application if the student is older than 12 years. Permanent residency can be applied for when five years or longer living in South Africa on a valid work visa or visa accompanying a work visa holder. Spouses/Life partners of South African citizens and PR holders can apply for PR, if they have lived in South Africa for 5 years or longer while on a valid visa. Holders of Critical Skills Visa qualify earlier if they can provide proof of post-qualification skills of more than 5 years in the field of work of the critical skills category which was applied for. Various other documents need to be supplied. Critical Skills Visa (CSV) are granted to highly skilled and experienced persons according to the Immigration Act 19(4). Find here a listing by the Department of Home Affairs as gazetted in 2014. With the new regulations, the Department of Home Affairs removed a directive (no.43 of 2010) which ‘previously allowed foreigners awaiting the outcome of applications for temporary residence permits to leave and to re-enter South Africa on the basis that they had an application pending within the country, by presenting their acknowledgement of receipt from the Department of Home Affairs as proof‘ of the pending status of the application. Previously, foreigners who could proof that they had applied to the Department for the renewal or change of their residency or work permit or visitor visa and had a valid receipt from DHA, they were allowed to depart and re-enter South Africa. This has been changed! In May 2014 this directive was withdrawn and foreigners with a pending application overstaying their permit or visitor visa were penalized even if the application was submitted to the Department of Home Affairs well before the expiry date. Appeals can be directed to DHA. Foreigners who overstay their visas will automatically become ‘undesirable persons’ and will not be able to enter South Africa. For overstays of 1 to 30 days, the person will be declared ‘undesirable’ for a period of 12 months. For a second overstay of 1 to 30 days within a 24 month period, the person will be declared for a period of up to 24 months. For any overstay of more than 30 days, the person will be banned for a period of 5 years. In case you need to lodge an appeal, you can find more info in regards to the appeals process here. The new Vfs Global offices operate nationwide and all applications for visas will be handled by these visa facilitation centres. To find a contact at your nearest office, click here. Information Source: www.dha.gov.za | Disclaimer: This summary is for information purposes only and not for the purpose of providing legal advice. You should contact the South African mission abroad or the Department of Home Affairs for advice on the requirements. Also contact an immigration lawyer to obtain advice with respect to any particular issue or problem regarding your immigration permit or visa.